I recently purchased a JD-800 which had experienced the dreaded Roland red glue meltdown. 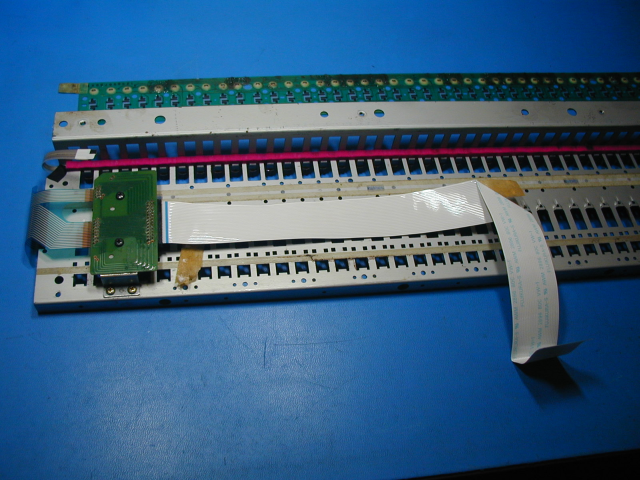 Removing the glue from the keys and the weights is not hard and is well documented on the web, but if the glue has gotten onto the green contact flex pcb as shown in the photo, peeling it off will rip off the traces as well. 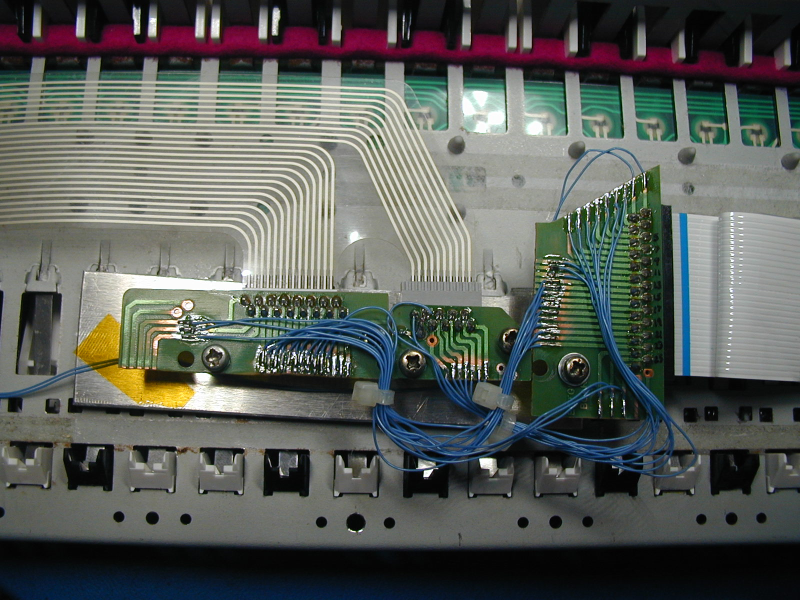 The best plan would be to replace the flex pcb with a new one. These are no longer available from Roland, but replacements do show up on a popular auction site. I took a different approach, but would not recommend it. 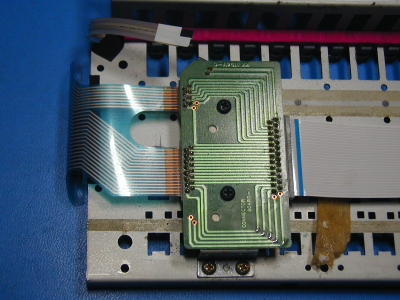 At the top is the JD-800 gray flex cable, the small pcb, and the short flex cable that is normally heat-sealed to the green key contact flex pcb. 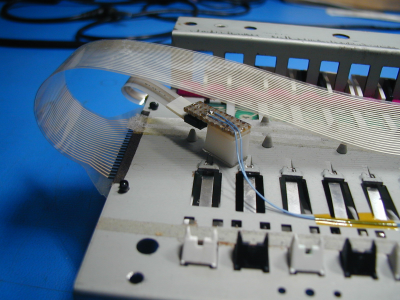 In the center, is the much longer flex cable used in the U-20, which is heat-sealed on one end, and plugged into the main pcb on the other. 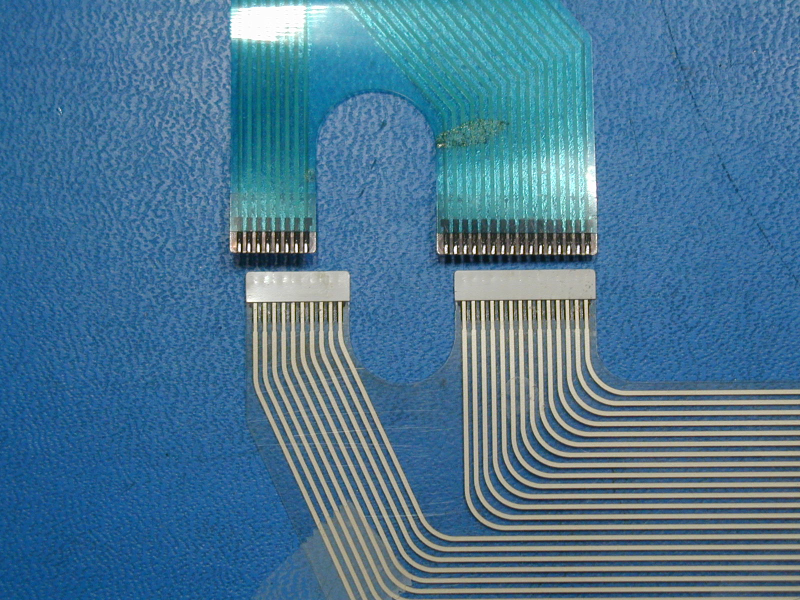 The D-5 flex cable is shown at the bottom, still attached to the green flex pcb. 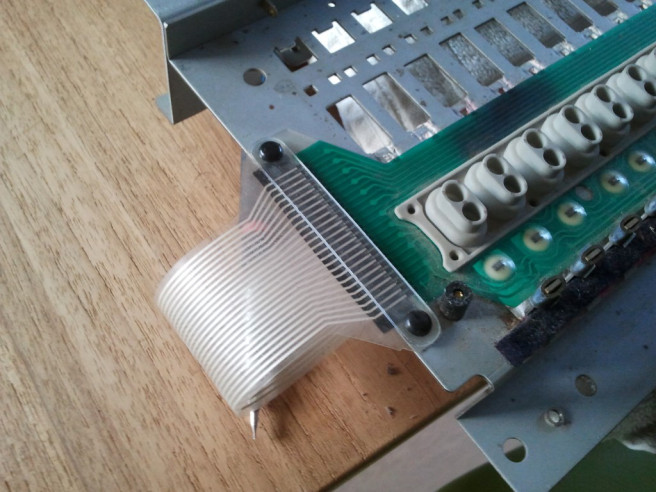 It has a right-angle bend at the end, where it would plug into the main circuit board. The green flex key contact pcb is identical in all three, but the flexes that are heat-sealed to it are different. 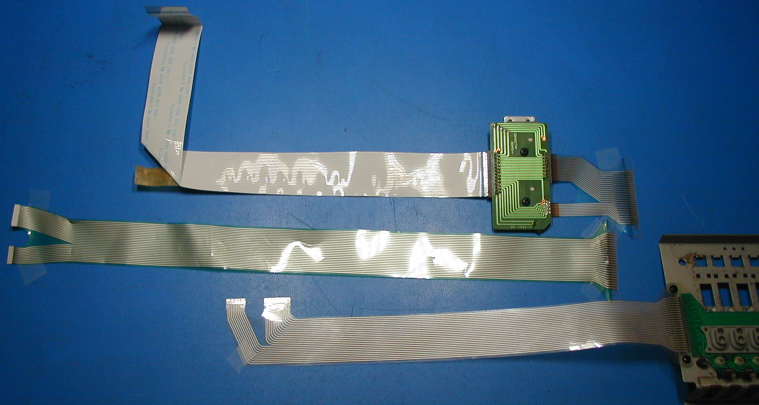 The gray flex cable has several new bends in it, folding it back on itself to reduce the effective length. It works! 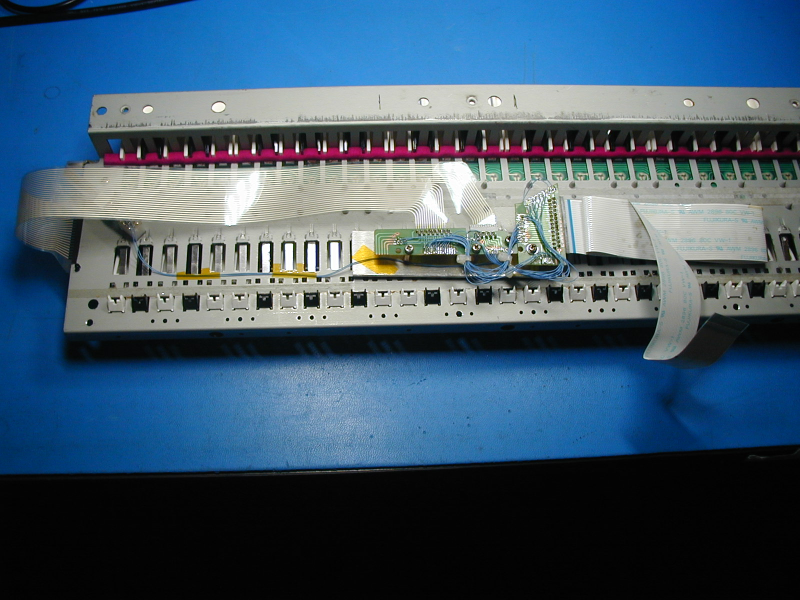 Not pretty, and a lot more work than sourcing a replacement green flex contact pcb. For now I have left the key weights off, but may re-install them at some point. Copyright © 2007-2017 by TaunTek.com. All rights reserved.